Home Healthcare and health reform health regulation Over-the-counter codeine’s a thing of the past. What’s next in preventing opioid harm? From today, you’ll need a prescription to buy any compound containing codeine in Australia. This probably won’t be news if you’ve been awake recently. 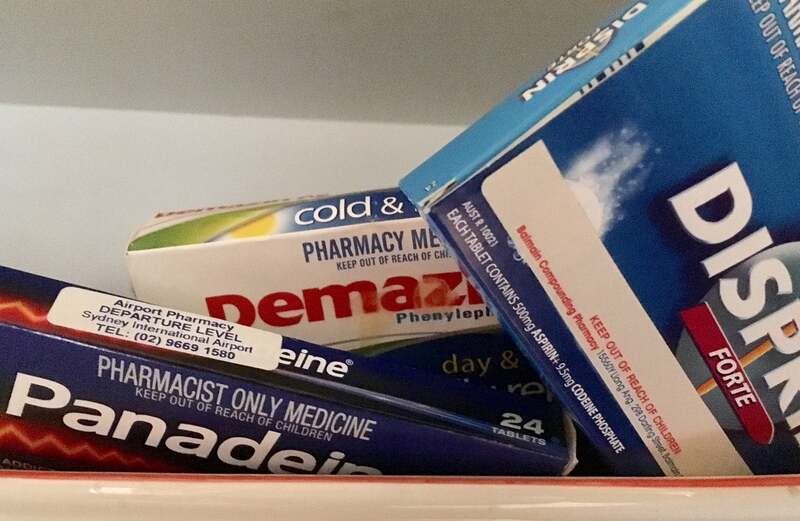 Commentary about the rescheduling of codeine-containing analgesics from Schedule 2 (pharmacy only) to Schedule 4 (prescription only) has reached fever-pitch on the past few weeks. Not all of it has been helpful. A thorough guide to the scheduling changes, for both health professionals and consumers, can be found on the TGA website here. Of particular interest is the document reviewing the safety and efficacy of over-the-counter codeine combination medicines. An editorial in Australian Prescriber last week, from addiction experts Darren Roberts and Suzanne Nielsen, provides some insight into Australians’ use and misuse of over-the-counter codeine-containing medications. That’s a lot of packets of low dose codeine and it’s potentially toxic (if taken to excess) co-formulated ingredients such as paracetamol, aspirin and ibuprofen, and a significant contribution to Australia’s burgeoning opioid problem. The paper goes on to give some of the history of the codeine rescheduling, and provide advice for identifying and assisting people whose addiction is unmasked by the shift to prescription only. It’s well worth a read if you need to remind yourself, or explain to others, why the TGA’s decision has been backed by peak medical bodies including the AMA the RACGP, the RACP the RDAA and Pain Australia, along with the Consumers Health forum of Australia, who yesterday released a set of six “storycards” to encourage discussion and provide information about pain relief options beyond February 1. The up-scheduling comes after an 18 month consultation by the TGA, followed by more than 12 months lead-time since it was announced. Despite everyone making preparations (including television advertisements), concern about what might happen when consumers find their access to these analgesics has changed has dominated the national conversation. The Australian’ s Sean Parnell reported on Tuesday that NSW health minister Brad Hazzard (who has never been a fan of the up-scheduling) was concerned that people wanting codeine would flock to the state’s overcrowded emergency departments. There have also been scattered reports of people panic buying or stocking up on codeine products ahead of the scheduling change. The Pharmacy Guild of Australia, which has opposed the up-scheduling citing concerns about access for people with a legitimate need for acute pain relief, and the capacity of the medical system to deal with the increased demand for consultations and prescriptions, is ceasing its real-time monitoring of over-the counter codeine prescriptions from today. MedsASSIST, a voluntary database to which just over 70% of pharmacists submit codeine purchasing information, had identified potential dependence issues in about 3% of transactions, although the 30% non-participation rate makes this finding difficult to interpret. There was also a surprise announcement last week from federal health minister Greg Hunt that the government would provide $20 million to run a Pain MedsCheck, in which pharmacists will “assist patients who are taking medication to deal with on-going chronic pain of three or more months”. Neither the lack of detail about the trial nor the lack of consultation with medical bodies was well received in some quarters, with AMA president Michael Gannon, describing it as “a slap in the face for GPs,” although the initiative was welcomed in a joint statement from Pain Australia and the Consumers Health Forum of Australia. A rumour that that the TGA was considering removing GPs’ authority to prescribe strong opioids was denied. Rather than “bracing themselves for a patient stampede” of patients requesting pain medication as they have reportedly been told to do, GPs who have spoken publicly are fairly sanguine about the scheduling change, reporting that it will provide an opportunity to identify patients with poorly managed chronic pain and associated conditions. After plans for a national electronic prescription monitoring system stalled about five years ago, the government announced last year that it would invest $16 million to roll out such a system, which has been repeatedly called for by both medical and pharmacy peak bodies. Emergency physician David Caldicott told the Guardian that he believed opiate restrictions should apply, “across the board,” not just to over the counter preparations, but that any changes should be followed up to guard against unexpected consequences. He also expressed support for a national, real-time monitoring system for patients prescribed opioids and other drugs of addiction. Caldicott went on to suggest that medicinal cannabis could be a useful analgesic for patients at risk of “falling through the cracks” and turning to other drugs and illicit substances. In their Australian Prescriber Editorial, Roberts and Nielsen, wrote that training GPs in the use of opioid substitution treatment for patients with addiction could be considered. Whatever happens next, the rescheduling of codeine to prescription-only feels like a beginning rather than an end. A study that made headlines last year revealed that, in 2012, accidental deaths from prescription opioids far exceeded deaths from heroin overdose in Australia. Australia is firmly ensconced as a participant in the global prescription opioid addiction epidemic. The TGA has recently issued a discussion paper, outlining a range of options for regulatory responses to prescription, strong (Schedule 8) opioid use and misuse in Australia. More regulation won’t work on its own but it’s one avenue that government can take to limit the supply side of the equation. A recent article from the US observed that the prescription opioid epidemic has its origins in the 1990’s, when a desire to relieve pain and suffering led to the use of strong opioids for non-cancer pain, and pharmaceutical companies fuelled their market. In Australia in 2018, the up-scheduling of codeine has provided much needed focus on the duel aims of relieving pain, and preventing the suffering of addiction. The purpose of all pain treatment is to relieve suffering and promote function. Denial of effective treatment for chronic pain is a fundamental abuse of human rights and a violation of the principle “First Do No Harm”. The US has a real opioid crisis, but it wasn’t created by prescriptions managed by doctors — and it won’t be solved by restricting treatment of patients in agony. Educate patients on risk of kidney failure, stomach ulcer and bleeds, heart attack and stroke from NSAIDs and aspirin. Educate patients on risk of liver toxicity, liver failure, and death with acetaminophen or Tylenol. The real reason to send 98 percent of people who used codine responsibly to hell with their pain is eugenics. Too many people in the world. They want to cull us. 6000 people die every year from alcohol abuse. Where do they get it? The bottle shop. Send them to the doctor. Alcohol is the third leading preventable cause of death in the U.S. The National Institute on Alcohol Abuse and Alcoholism has reported that alcohol causes 88,000 deaths each year. Alcohol has shortened the lifespan of those 88,000 human beings by 30 years. All other drugs combined only cause 30,000 deaths a year. Alcohol is not only harmful to the individual, but it’s also harmful to society as a whole. Its negative effects are wide-ranging and can result in injuries, car accidents, violence, and sexual assault. Even with knowing this, alcohol is still more common than other drugs, and alcohol distributors and bartenders are not looked at like drug dealers who sell heroin and cocaine. Alcohol is different than other illicit substances that we know can cause overdose deaths because alcohol can also kill people slowly by deteriorating the body. How about up-scheduling alcohol? Now we have 2 per cent of people overdosing on alcohol, opiates and codeine who have compromised 98 per cent of people who used this medication responsibly and when necessary to reduce the volume of their pain. What is really out of control? Alcohol. What did the politicians do about that? Nothing! A contradiction in terms. I’ve suffered from tension headache for years I’m not addicted to meds and only take them when necessary. If I cant manage pain at home I have to go to ER. They have to get rid of my pain otherwise I cant function. That can happen once a week sometimes twice. Now tell me is that what ER is for? This will clog up ER and waste my time and theirs. Last time I got 5 mg endone. As well as the over the counter back then mercindal. That meant I could self manage my pain. In fact I took a quarter of a tab of 5mg endone and one mercindal and my pain was gone. What was wrong with that. First, why not clarify that most of the abuse of prescription pain pills is not by those for whom they’re prescribed? Among those for whom they are prescribed, the onset of addiction (which is usually temporary) is about 10% for those with a previous drug-use history, and less than 1% for those with no such history. It’s remarkably irresponsible to ignore these distinctions and then use “sum total” statistics to scare doctors, policymakers and review boards into severely limiting the prescription of pain pills. Opioid medicines activate receptors in the nervous system that influence the perception of pain and can reduce its strength, providing relief. One way of imagining how opioid drugs and receptors work together to influence the sensation of pain is like a volume control: the level of perceived pain is turned down. Every person does experience and manage pain differently – opioid medicines are often used to reduce pain strength and other problems associated with pain, such as feelings of stress and irritability. Sudden increases in pain can be controlled with opioids as well. Using the right opioid medicine is critical to effective pain management. Doctors work with patients to select the most appropriate kind and dosage of opioid medicine, which depends on things like the intensity of pain, how often it occurs, and the risk of side effects and other issues. Constipation, nausea and drowsiness are common with the use of opioid medicines, but they can be reduced or managed while still taking opioids for pain relief. With less pain, and by working with health professionals to use opioid medicines effectively and manage any side effects, people are likely to have more energy, greater independence and be able to better enjoy the things they love to do. Diederik Lohman, from Human Rights Watch, says not giving people access to these medicines essentially amounts to torture. Opioids have been pulled into the so-called “war on drugs” discourse, instead of being seen from a medical perspective, he says. “For many decades, the discussions at the international level… around drugs were completely focused on illegal drugs, to the point where the fact that these same substances also have important medical uses was just completely off the radar,” Mr Lohman says. Another major challenge is ensuring medical staff in all countries understand how medicines such as morphine should be used, so they feel confident about giving them to patients. Mr Lohman says students are often warned about patients becoming addicted to opioids, but are not always taught that opioids can also be an essential intervention to manage pain. This and the tough international rhetoric have led to “opiophobia… an irrational fear around the use of these medications”, he says. As a result, Mr Lohman says, many people who should be dispensing these medicines end up thinking of these powerful drugs as “kind of an evil”. “People are scared of going to jail… of the extra scrutiny that they think will come if you prescribe these medicines,” he says. That’s not an idle fear. Trump, who vowed during his campaign to combat the opioid crisis, has set a goal of cutting prescriptions by one-third over the next three years. He has also boasted of stepped-up prosecutions of doctors who prescribe inappropriately. The up-scheduling of codeine has been vigorously supported by the Australian Medical Association, the RACGP and Rural Doctors, the Consumer Health Forum, Pain Australia, the National Prescribing Service Medicinewise, and hospital pharmacists. Please write to the health minister, shadow health minister and all of the above agencies and tell them what it is like for you. Could not agree with you more. I have Crohns, and suffer from a student doctor overriding the consultant’s IV Antibiotics. He utterly shattered my arm due to box compartment syndrome surgery. A spike from a blood sugar test is all it takes for some grotty football field covered in dog muck and god knows what else, if that tiny tiny hole gets some nasty infection, your blood stream is screwed. In my case my arm hasn’t stop hurting. It’s not on . I am not a drug dealer, I’m not doctor shopping. I just want a way to relieve my pain. I might as well hit up someone in Richmond, that’s what all the addicts are doing right now. Well done, Melbourne has a good old heroin problem, more gangs, violence, theft ect. Oh and every day is utter misery for people who legitimately are sick.